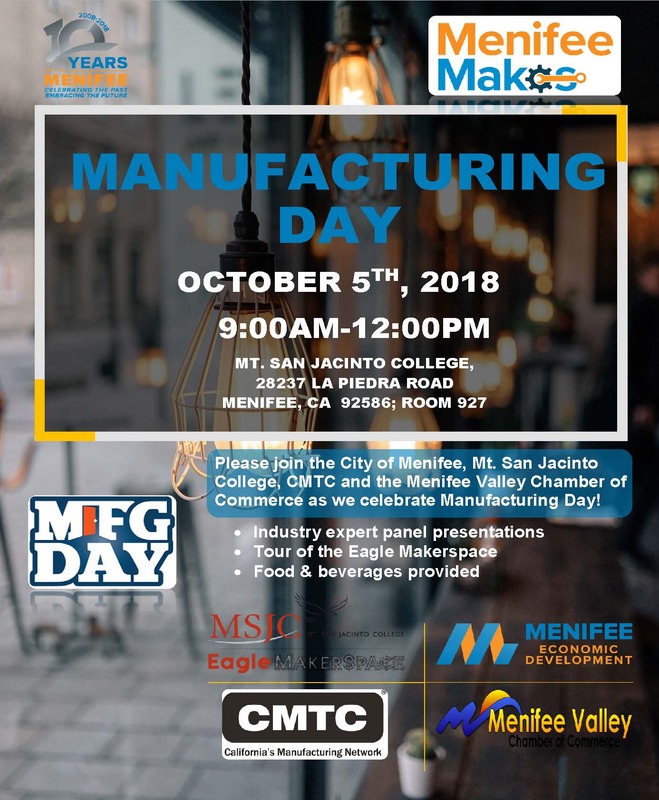 Please join the City of Menifee, MSJC, California Manufacturing Technology Consulting and the Menifee Valley Chamber of Commerce as we celebrate Manufacturing Day. The event will provide an opportunity to inspire and recruit the next generation of manufacturers and includes presentations from a panel of industry experts and a tour of the MSJC Eagle Makerspace. Refreshments will be provided. For more information, contact Jenny Hughes at (951) 639-5524 or jhughes@msjc.edu.